As you might have gathered from my Classic Album – Violator piece, I’m a Depeche Mode fan. Reviewing them objectively can be hard given my, ahem, devotion to the band and the fact that a new Depeche album has come along thrills me. My job for you though is to tell you if it’s a good or a bad album and to so without coming across like an overexcited fanboy. 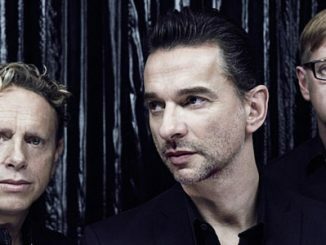 Here’s the thing then – it IS a good album and finding Depeche Mode capable of still thrilling and intriguing at this stage in their career is itself a very, very good thing. All we’ve heard from Spirit to date are the press conference snippets, which I’m happy to admit I had great fun looking out for on the album, and the lead single Where’s The Revolution which was Track Of The Day on this site and my own, Almost Predictable Almost, two weeks ago. Having heard Spirit a few times now, Where’s The Revolution seems both an odd and an obvious choice for lead single here. It’s odd because there are a couple of tracks here that would have perhaps made more of a “What on earth was that?” impact similar to Barrel Of A Gun or I Feel You. It’s also an obvious one though as it’s one of the tracks here that sonically links this album to Delta Machine and because of its lyrical themes. It is similar to the Construction Time Again track And Then where revolution is suggested as a good thing “All that we need at the start/Universal revolution/That’s all. And Then however suggests that we talk about revolution whereas Where’s The Revolution basically tells us it’s the only way forward. Construction Time Again’s naive socialism is replaced by an aggressive notion of destroying everything because we’ve made a mess of it all. That lyrical theme permeates Spirit. 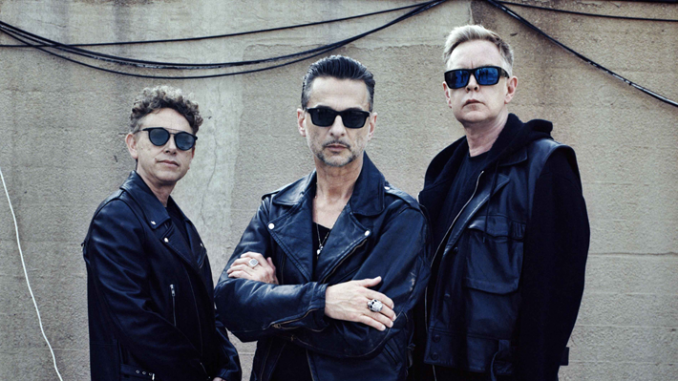 This is Depeche Mode telling us that we’re all in serious trouble and that it’s all our fault. Album opener Going Backwards sets the tone for the album. It’s a strong start, their strongest opener since Playing The Angel’s A Pain That I’m Used to, all sparse guitar lines and eerie electronics. The lyrics match The Cure’s One Hundred Years for album opening despair “We feel nothing inside…we have lost our soul” with Martin Gore writing a song decrying technology’s advance and the numbing effect it’s had on society as a whole. It will open this summer’s stadium shows nicely. The production here immediately strikes you too. James Ford has given the band more room than Ben Hillier and the smothered feel of the last few albums has gone. That is a very good thing. Going Backwards theme of general despair continues throughout the opening quartet of tracks with ‘Where’s The Revolution’ following it before we arrive at The Worst Crime, there’s a lovely line bemoaning “uneducated readers” which I hope is aimed squarely at the fools who read atrocities like The Daily Mail and lap up their every hard right, fear mongering lie. It’s a good track, perhaps a bit too redolent of Dave’s Soulsavers work, but the production and the general Depeche Mode-ing of the song keep it away from that. This is one of the more Delta Machine like songs here but that’s ok. The opening quartet is finished off by the first Spirit highpoint, the superb Scum. Firstly, full marks for the song title and the lyrics. They brought to mind Nine Inch Nails’ glorious The Downward Spiral for me, albeit shorn of the self loathing. It’s as aggressive as Depeche have ever sounded and I love that. Also, the music is spot on. It opens with the modular synth fest we heard at the press conference but quickly goes nuts. Think Delta Machine’s My Little Universe getting drunk, meeting some very bad people and going to an underground club. If you can picture that, you’re getting there. This is a great song. The clouds suddenly part and things begin to look vaguely hopeful with You Move, a track written by both Dave and Martin. I’ve been looking forward to this one for that reason and it doesn’t disappoint. Once you hear the lyrics “I like the way you move/I like the way you move for me tonight” and the sleazy electronics of the track, it becomes clear, or at least I think it becomes clear that it’s a words by Dave and music by Martin effort. Some of the synth parts here sound huge and are also pretty experimental for a band who are about to straddle the globe’s stadia and arenas for the next 12 months. One section in particular sounds just like Dopplereffekt, matching their wonderful distorted take on Kraftwerk. The melody is almost pure pop in the chorus too with that juxtaposing with Martin’s music perfectly. If Dave had sung over a VCMG track, this would have been it. Cover Me comes next. It’s another Dave song which veers slightly towards Soulsavers again before the last couple off minutes turn into a gorgeous Kraftwerk like synth riot, somewhere between Autobahn and The Man Machine. The slide guitar (a feature here on a number of tracks) even brings to mind that band’s Ananassymphonie. The song is a ballad type of effort and it’s again a good Dave track. Not the strongest on the album, but not the weakest. One of the record’s best tracks and possibly my favourite for now follows with the Martin sung Eternal. It’s a short love song, perhaps written for his children, and it is gorgeous. 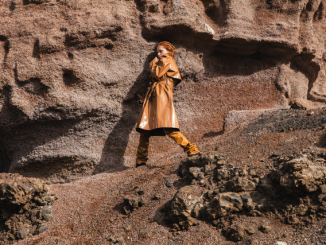 It’s dark and powerful with apocalyptic gloom throughout tempered by the song’s message of eternal love. A key point to note here is another production one – Martin is actually singing like Martin and not bothering with any of the vibrato that has taken the edge of some of his recent album tracks. That’s an important thing for me. This, plus the general magic of the track makes it Martin’s best lead song since Home. The brevity of the song recalls the halcyon days of the likes of It Doesn’t Matter Two or I Want You Now and I don’t think anyone will have an issue with that. Dave returns to songwriting duties with Poison Heart, another of the tracks previewed in Milan, the one with the chain gang like “Woooaaaah/Oaaaahhh”. Again, this is in Delta Machine meets Soulsavers in a way but James Ford’s work keeps it interesting. It has a charm to it too and I think it’s very much a grower which will certainly work live. So Much Love returns up to the pop side of things and lightens the mood again with expressions of love as opposed to expressions of angst. The melody and persistent hammering drum machines remind me of Some Great Reward in a general sense which can only be a good thing. I do kind of worry about live drums taking the edge off that somewhat, but this might be this record’s Broken in the sense that it’s a pop song that they entirely ignore when they compile setlists. Thus far, Spirit holds your attention. There’s enough in this album to satisfy the legendarily hard to satisfy Black Swarm and the sound of the album is distinct enough from the Hillier trio of records to pull you in. In a recent interview, the band said that James Ford had wanted a ten track album but they wanted more and the next two tracks, Poorman and No More (This Is Is The Last Time) are two of the tracks that seem a bit unnecessary and perhaps losing Poorman and a Dave Gahan track might have made this a better, tighter record. Poorman is sonically one push of the gloomy blues button too many really. Lyrically, we’re back in the realms of Construction Time Again, this time echoing Everything Counts with the likes of “Corporations get the breaks/keeping almost everything the make” trying to match that song’s message. Its bluntness however dims that. The charm of Everything Counts lay in Martin’s eyes being opened to the greed of the world and that is lacking here. A song about major corporations released on a major label is a tad rich too. The chorus is a cool thing though with a distinct Beatles circa Revolver vibe. No More (This Is The Last Time) has a really cool dark electronic feel throughout but it feels a little unfinished, a chance to create something special missed. We end, uniquely for a Depeche album, on a Martin Gore lead vocal and what an ending. Fail returns us to the lyrical fatalism of the opening quartet of songs, but it’s done with a great degree of resigned black humour. A Black Celebration if you like. Martin, again mercifully vibrato free, reminds us that “We’re hopeless…our souls are corrupt/Our minds are messed up” before, again uniquely, adding “Ohhh…we’re fucked.” Some people have had an issue with this but I love it. Lyrics aside, Fail is a wonderful piece of dark electronics and the lyrics add to its glorious feel. The song builds through Martin reminding us of more of our bad points before ending “Ohhh…we’ve failed” as the synths suddenly start glittering like stars, sparkling as Martin boards his escape ship and heads off, leaving us to inhabit the world we’ve made for ourselves where buffoons such as Trump and Farage rule the roost. Perhaps we should all be listening to Depeche Mode after all. Spirit IS a very good album. It’s not immediate, it’s as downbeat as any Depeche record has been and it’s going to annoy fans looking for A Black Violation of Devotional Ultras. It was never going to be one of their era defining albums as bands at their stage rarely come up with that sort of thing. 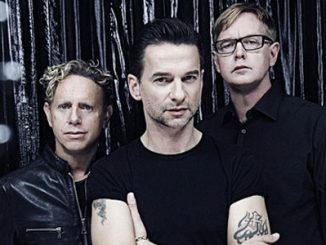 What Depeche Mode have done with Spirit however is continue to push themselves, refuse to rest on their laurels and produce an album that is relevant both sonically and lyrically and that is perhaps more than most people expected. Persevere with this record as there is a lot to love here. A revolution? No, but it’s an evolution and, I’m on board. “A Black Violation of Devotional Ultras”–that made me howl with laughter. You know us so well. This is a great review and now I am looking forward to hearing Spirit even more. What a great review. Really well thought out and nicely written. The best written review of the album I’ve read so far. Really looking forward to the album now. Thank you. Solid review! And quite honest about some of the direction the band has taken (for better or worse). Can’t wait to see the live versions of some of these songs, though! They really come to life. If you haven’t grabbed your spot in line yet on the presale, do it now http://depmo.de/2la9GHw on the official DM Fan presale page!